Bullish options strategies are for those traders anticipating the price of the underlying asset to move in an upwards direction. Many traders use these strategies for the purpose of investing or leveraging their existing positions. In order to choose the best strategy, you should have some idea how far you think the price could go and how long it might take to do so. There are some classic chart patterns which are relevant here. For example, the inverse head and shoulders pattern, or the double bottom. These are bullish reversal patterns, but more than that - they allow the trader to set a potential price target, which in turn helps to choose the best strategy. Here are a list of bullish options strategies, which we will explore in the order given. 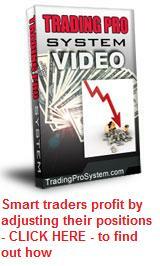 The simple call buying strategy is utilized by most novice options traders. It is simple and easy to understand and brokerage costs are minimal. The question then becomes, which is the most effective strategy? Do you buy out-of-the-money, at-the-money or in-the-money options? The answer depends on the level of risk to reward you wish to take. For further reading, we suggest you take a look at our bearish options strategies page under Going Long Put Options and apply the same principles to call option trading. Long Calls are preferred by aggressive investors who are bullish about the prospects of stocks in the short term and have a desire to capture their upside potential. In this strategy, the put writer takes the risks of owning the underlying asset specified by the put contract. This means you also need to have sufficient financial resources to purchase the asset, should you be assigned it. With this kind of strategy, the puts are sold on stocks or other assets, to the market. If the asset price advances or remains stagnant then the trader retains the premium upon the expiration of the options, with no further consequences. However, if the price plummets, you're almost certain to be assigned the underlying asset at expiration date. For this reason, the strategy, also known as the "naked put", is not a popular one. A slight variation of the long call above. This calls for going long put options while holding the equivalent number of the underlying asset specified in the put contracts. This strategy offers the trader unlimited profit on the upside for the shares and limited loss should the price fall. The put options act as a kind of insurance policy on the purchased shares, provided the strike price is the same as the purchased price of the stock. Using this strategy, losses are limited to the cost of the put options. If you want to own some stocks without being subject to the near-term downside risks associated with them then the synthetic long call may be the strategy for you. This is considered to be one of the safest of the bullish options strategies. Here, the trader writes call options against a long stock position. The shares can be purchased in two ways - either through a buy write or by overwriting. In case of buy-writes, the purchase is made at the time of writing the call option while overwriting involves the purchase of the shares before the calls are written. This effective strategy can be used in case of bullish and neutral markets. For further reading, we recommend you visit the Covered Calls main page of this site and explore further. This is the combination of two bullish options strategies, namely writing (selling) puts and Covered Calls. In this case both the options would have the same strike price and expiration date. The profit potential is limited but the losses are unlimited because you have two short positions facing opposite directions. Hence, the investor should be careful about the initial size of the spread. The upside of this strategy, however, is time decay. The appeal of this strategy is, that it's a great alternative to buying the stock outright. You only need to purchase half the amount of stock you would normally have. For example, buying 100 shares and writing the two options is a lower risk investment that the outright purchase of 200 shares. At expiration, the investor will have either a profit and no position in the stock or own 200 shares for a reduced average price. This strategy should be adopted using two options that have the same strikes. You go short the same number of puts as you go long the calls, creating the same effect as if you had purchased the shares outright, but you're doing it for a fraction of the cost. If the price of the underlying moves to the upside, it offers unlimited rewards, but risk to the downside is equivalent to the number of stocks covered by the options contracts. You can implement a variation of this, by using different strike prices, in which case the ideal entry point would be when the stock is in close proximity to the mid-point of two split strike prices. Volatility is neutral here because the increase in volatility is directly proportional to the increase in increase in the price of options. Thus, the profit gained from the Call can offset the loss experienced in the Put. One of the most effective bullish options strategies. The shares of the underlying stock are held and the investor purchases protective puts while selling call options against the holding at the same time. As an options trader, if you are writing covered calls for earning premiums but you also need extra protection from sudden steep drops in the price of the underlying security then this strategy is the safest. One of the better known bullish options strategies, the bull call spread is classified as a vertical spread which comprises two call options having different strikes. You buy calls a lower strike and sell calls at a higher strike. This strategy is recommended for bullish investors who would want to enjoy low risk and limited return strategy without the need of purchasing or selling the underlying stock. This is a great strategy to use once in a while to keep your game fresh. Read more about the bull call spread here. This strategy is the reverse of the bull call spread strategy and therefore brings in a net credit from the call positions. Like the bull call spread strategy, this one offers low risks and limited returns. For further reading, visit the bull put spreads page. This involves the purchase and sale of two call options positions. The option sold by the investor is at a greater proximity to the expiration date than the option being purchased. The idea is to take advantage of the more rapid time decay of the front month options compared to the later month options. The loss is limited here but so is the gain. The best time to use this strategy would be when the anticipated price action of the underlying asset is neutral. You should also try to ensure that the implied volatility in the front month options that you're selling are equal to or greater than the IV of the later month options. Learn more about calendar spreads here. One of the most useful bullish options strategies. You sell a number of call contracts for a strike price as close to the current underlying asset price as possible. You then sell a greater number of out-of-the-money call options, thus creating the ratio. If your sold OTM call options bring in more than the lesser number of ATM bought ones, you realize a credit and have before you a risk-free trade. If your position starts with a debit, this is your maximum loss should the underlying fall in price. But to the upside, the profit potential is theoretically unlimited. The idea is to experiment with the numbers of contracts for each strike price bought and sold, so that you achieve optimum results.